When we bought this house, we loved almost everything about it. What we didn't love was the bathroom in the addition. There had been some water damage, the setup is bad and the shower stall is positioned in such a way that even if we leave the fan on and the door open, there isn't enough ventilation (especially since it's Fl). 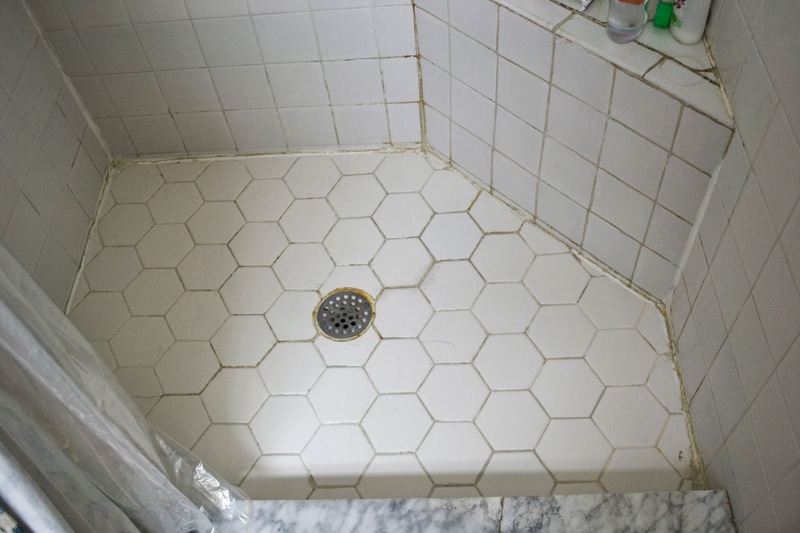 What makes it worse is that the shower stall is white tile with white grout. 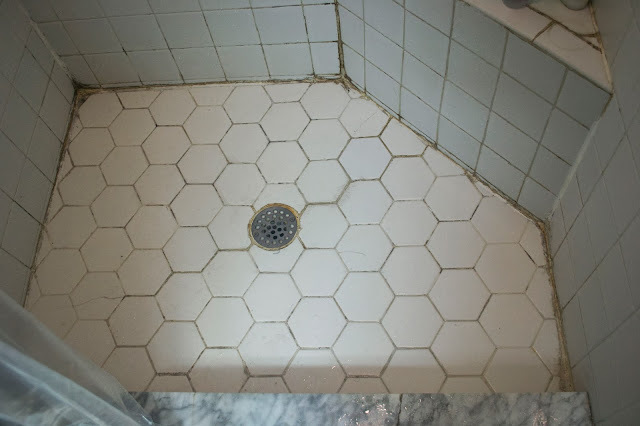 I know this looks good when it's first installed but if you've ever lived with it, you know that it's impossible to keep looking good. The old owners also didn't properly re-caulk so there are multiple thick caulk layers in all the seams. 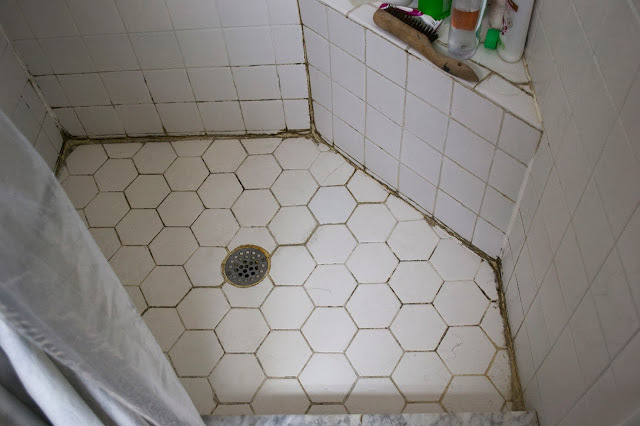 Now, this is after trying to use a couple of different basic bathroom cleaners and a toothbrush to scrub everything down. Clearly, it was going to take a little more so I got some bleach and a stiff brush and scrubbed everything down again. This worked a little better but it still wasn't great. So, I tried one more thing. I laid a layer of paper towels soaked in bleach on the shower base and covered the whole thing with plastic bags and left it over night. After I cleaned everything up, I had a shower base that I was at least willing to step on but still wasn't the white white. We really need to re-caulk everything and eventually gut the whole bathroom, but for now this will have to do. If anybody has any tips for getting grout white again I'd love to hear them.